Who should play Papa? That was the first question that hit me. 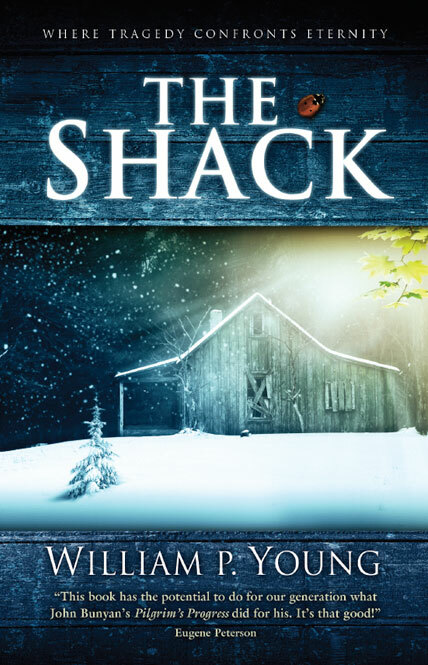 I saw yesterday that Willie Young’s publishers agreed to film rights through Lionsgate for the controversial bestseller The Shack. For the record, I liked the book. True, it has some flaws in terms of plot, conflict, and character development, but hey, don’t we all to some degree? I mean, the last perfect novel I read was To Kill A Mockingbird. The theology of The Shack didn’t bother me either. Some people went crazy over the book’s portrayal of the all-to-human theophanies. It’s fiction people, theologically informed fiction, but still fiction. For dogma and doctrine, go to church for-crying-out-loud. But I am not here to talk about the book. I’m here to help cast it. Early reports said Forest Whitaker was directing and staring in it (I presume as Mack) but now it looks like Stuart Hazeldine is the director. There are really only four characters in the novel. I apologize if my casting of these seems or feels racially motivated, because I don’t operate like that and it is not my intention. However, Young is so specific in the novel about the ethnicity of the Godhead, that, well, it kind of has to be that way. Mack–Need a thirty or forty something year old white man. Maybe we could go with Ed Norton here. If he could bring the edginess of his Fight Club character, that would give Mack the angry bite he needs. If not Ed Norton, then Jeremy Renner. It needs to be someone who broods. If it is a no-go for Renner or Norton, then may I humbly suggest we go for insane instead of brooding, which leads us to Bradley Cooper. Papa--Need a black motherly figure. The obvious choice is Oprah Winfrey, but hey, that is too obvious. It is apparent to me, and just about everyone, that Willie Young ripped his Papa character straight from The Oracle in the original The Matrix film, but she is dead. Della Reese would work. It would be almost the same role she had opposite Roma Downey in Touched By An Angel. Her age might be a problem, though. So how about Queen Latifah. Yep. I think we have a winner. Jesus–Middle Eastern carpenter. There can only be one answer. Tony Shalhoub. Sarayu–Asian female. Again, pardon the type casting, but I think I got it. We must cast Rosalind Chao in this role. Think about it, she could almost do it the same way she played Robin William’s heavenly daughter in What Dreams May Come. I know, brilliant, right! Besides, Miles O’Brien would be so proud of her. If she doesn’t want to do it, then, let’s keep the sci-fi jazz with this and go with Grace Park. Okay, so those are my casting suggestions. I’d be interested to hear your thoughts. The “Outhouse” dishonored God. The book is pure blasphemy. thanks for reading and commenting fant. now, i guess i’m walking into this, but why is it blasphemy? i can accept that another person would say that it dishonors The Lord (although I disagree with that), and I can accept that a person might argue the theology was off, such as the common cry that Young portrays a modalistic understanding of the Trinity. However, a person being wrong in their doctrine is not the same as blasphemy. so, why do you say the book is blasphemy? anything specific? It makes our Heavenly Father into a fat black lady. How do you not see that as blasphemy? let me push a little fant. i believe the book (and i could be wrong because i read it about five or six years ago) is fairly clear in the language that these appearances of the Godhead are not actual, but representations in human forms (hence the common charge of modalism) in a way that the main character, mack, would understand. having said that, would you consider it blasphemy if young portrayed our Heavenly Father as an old white man? I don’t care for his use either way. The old man part is at least masculine since Scripture says God is masculine. Color does not matter of course. An old black man would have been better. okay, so you object to the portray of God the Father as feminine. Do you likewise object to the portrayal of God the Holy Spirit as feminine? do you object to the biblical passages that refer to the Lord with feminine attributes? Please show Scripture support and clarify what you mean by feminine attributes? fant–sure. there are several biblical feminine metaphors attributed to the Lord. two common ones are Isaiah 66:13 and 49:15. there are other such references in the Hebrew Bible, but Jesus is compared to a mother hen in Luke 13:34. in addition to this, many of the doctrinal attributes of God are understood as feminine attributes such as mercy and comfort. these texts do not negate that God is overwhelmingly referred to in the masculine, and that Jesus is definitely male. however, i don’t think we want to get into a discussion about what kind of genitalia The Almighty has. it seems to me that the Godhead is beyond masculine or feminine; and that it takes both genders of humanity to reflect the divine ‘image.’ my point is that sometimes the Bible portrays the Lord in feminine ways, therefore it might not necessarily be blasphemous to imagine God having a conversation with a human being as a woman. at least, i don’t think so. As I recall, Jesus likened Himself to a mother hen. I don’t find the book blasphemous. It is helpful and in the same way as “This Present Darkness” was helpful. I didn’t take the theology of either as being systematic or intended literally. I would go with Queen Latifah and Tony Shalhoub, but you know a lot more actors that I do and I don’t know the rest. carroll–thanks for reading and commenting. i tend to agree with your ‘darkness’ analogy. anytime we write speculatively about spiritual endeavors, like i do in my book, it can be dicey. however, it can also be helpful. as to the other actors, i bet you would know them if you saw them. i probably should have included photos. my bad.